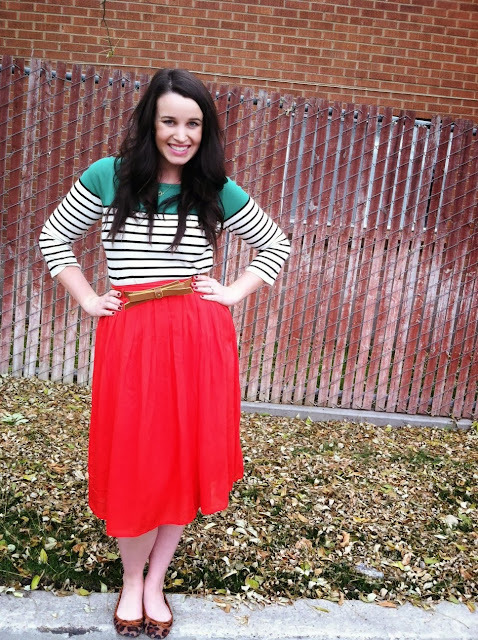 I am constantly on the lookout for cute, modest skirts and trust me, they’re not easy to find. When I go skirt shopping, I search for comfort above all else. I want to be able to move around, dance, and not feel like my clothes are too tight or too revealing. As a member of the Church of Jesus Christ of Latter Day Saints, I have a strong conviction of being modest in every aspect of my life. To see more about modesty, click here. It is great to see the improvements in modest fashion that is out there today! Many of my favorite bloggers, Caraloren, Cleverly Yours, Taza, are all gorgeous women who don’t have to reveal their whole bodies in order to be recognized. I remember during the start of the 2000’s, there really were only two skirt options. 2- Sporting some oversized, unflattering skirt from Shopko or even worse….outdated hammy-downs. Dun, Dun, DUN! Today there are tons of better options for appropriate skirt wear and the place to look is Sis-Miss.com! Sis-Miss specializes in modest, affordable clothing perfect for all women, no matter your age! 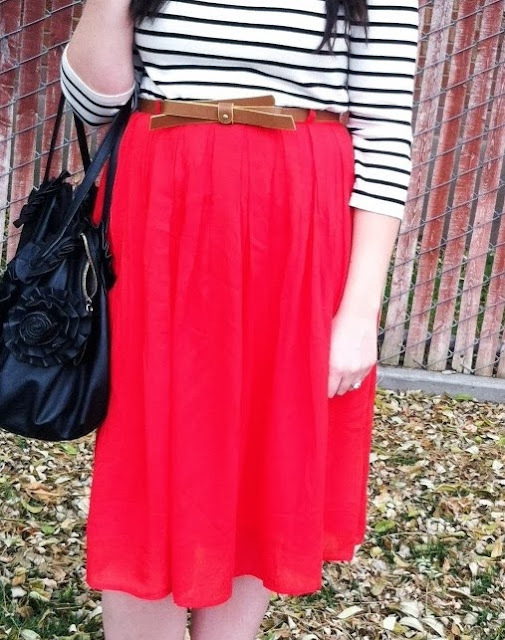 I attend church every week and I hate feeling like I’m wearing the same outfit over and over. Sis-Miss has a large variety of everything from dresses, cardigans, blouses, dresses and accessories!Some of my current favorites from their boutique are this Sequin Peter Pan Blouse, the classic Polka Dot A-Line Skirt, and this detailed Button Down Cardigan! 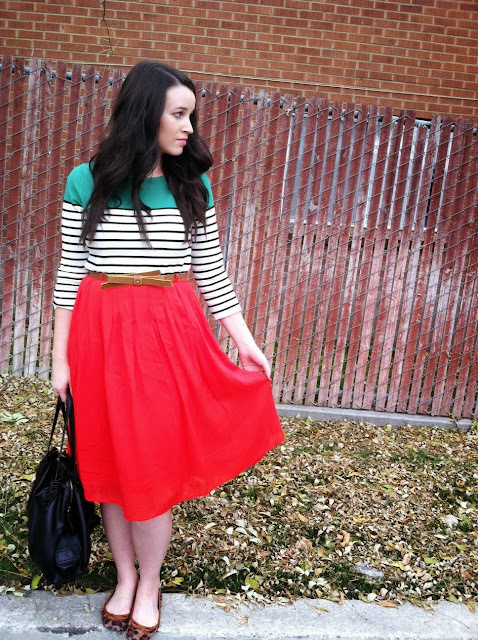 I love this red pleated skirt. It’s flowy, fits great and is going to be PERFECT for some holiday dinner parties I’ve got coming up! Red is such a bold, feminine color is automatically draws the eye. 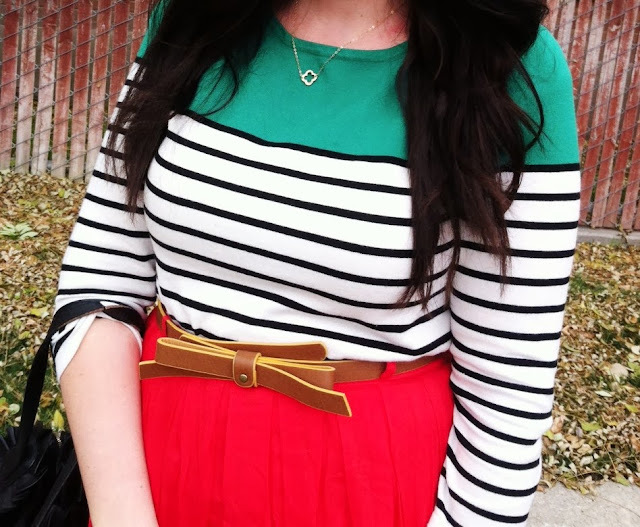 The bow belt just adds to the cute-ness and this is officially my new go-to skirt for church and work! I paired it with this bold J. Crew sweater and my leopard flats. My boss told me I look like the Italian flag…. What the? It gave me a good laugh though…guys don’t know anything about fashion do they? Also some great news, Sis-Miss is offering 20% your purchase by using promo code ALLTHINGS20 upon checkout! 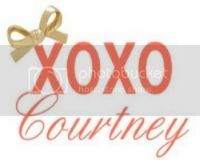 Visit www.sis-miss.com today to see their great variety of clothing items and get yourself something pretty for the holidays! Trust me, You MORE deserve it! Don't forget to check out all of the amazing giveaways going on right now! There are low entries to be sure to enter tody! 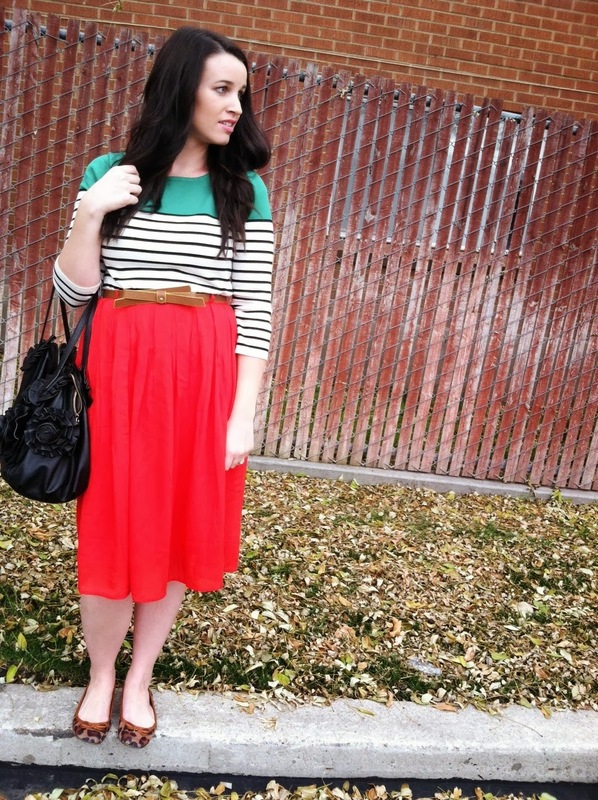 Just found you via the blog hop; lovin' your darling outfit!!! Thanks girl! I appreciate you stopping by and for your sweet comment! That skirt is amazing! You look so cute! This outfit is magnificent! It really is so refreshing to see that modesty is making an appearance in the fashion world again. I couldn't agree more about the modest thing, I am so glad that the world is finally realizing that being modest is classy! Thanks for visiting! Thanks for commenting! I love your website oh so much! Wow, that color is beautiful! I love it paired with the green. love this color combo and the mix of prints! i just love this look on you and that belt is the perfect touch! I've never heard of that company before, but when it comes to dresses and skirts, the length that your wearing in those photos is my favorite length! And they can still be a little hard to find in mainstream stores but I like that there are so many different options for purchasing online clothing when you can't find anything great in the stores around you! Your dress is absolutely beautiful! Love the color, Thanks for sharing.